Who hasn’t watched a movie or television drama and imagined themselves living in the stunning homes portrayed? The HBO TV drama Big Little Lies, with its large houses and ocean-front vistas, was one that had many people captivated. So which house would you choose? Be careful with your answer. 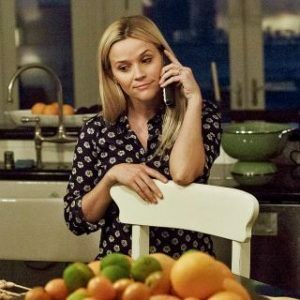 John Paino, the production designer on Big Little Lies, says the interior designs were carefully curated to reflect the personality of the character and psychology of their situation. Celeste (played by Nicole Kidman) lives in a home that is minimalist. “She is regal and glacial, and the house reflects that,” Paino says. “Madeline [Reese Witherspoon] is more family focused. There is an abundance of things and a lot of shiny surfaces. She is the one who is trying to prove the most and she doesn’t know where she is in the pecking order. Jane [Shailene Woodley] is blue-collar. Her house is at the bottom and very pedestrian. Some 75 per cent of the interiors were shot on set with the rest filmed on location in Los Angeles. Little was filmed in Monterey, California, where the series is set. Still, a determined effort was made to make the interiors as real as possible while considering the psychology of the characters. “There is a sense when you have interiors that are minimalist, that they are kind of controlling,” Paino says. “Really we wanted Celeste’s house to feel a bit like a prison of luxury. It is a simple modern setting and the lines and planes of the set are confining. We also wanted it to be clinical, because she is trapped. Jane may be trapped economically, but there is a cacophony of colours and textures because she is discombobulated. It is not only on film sets where interiors mirror psychology; sometimes we resist showing our true colours in favour of what we think other people want. Show homes are often minimalist, with high-gloss surfaces, glass and polished metal, with a few pieces of statement art. Something most of us aspire to, but few of us can live with. Haller divides people into four personality types, of which we have primary and secondary traits. Interior design should provide a balance of the two. If you get this right you will have a home you can feel comfortable in. 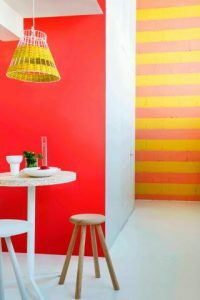 Playful You like vibrant colours such as sky blue, watermelon red and sunshine yellow. People with this personality type often have open shelves in their kitchens decorated with bright crockery. Serene You prefer lavender, dusky pink and mint-grey tones. Farrow & Ball is a favourite. You like curves and soft, feminine fabrics such as high-quality silks and natural materials. Minimalist You gravitate towards black, white, green and glacial blue. You don’t like clutter or mess. You like glossy surfaces and polished metals. This is the interior style most people aspire to live in. 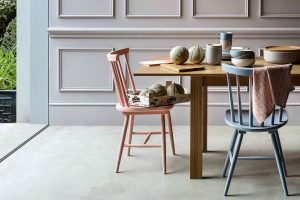 Marianne Shillingford, the creative director at Dulux, says she starts trying to understand people’s personality by asking them about an interesting object or piece of art in their home. Shillingford says that there is nothing wrong with indulging the aspirational in one room — say, minimalist or serene — while the rest of the house is earthy and cluttered. This approach also allows couples and families to have their own areas. In the main rooms, however, she will try and compromise, or bring elements of both personalities in by using lighting. “Fashion sells the idea that style and personality is uniform, but it is multifaceted and it develops,” she says. There are other considerations too, such as the effect that our homes have on our mood. For instance, there is a trend towards neutral shades in children’s rooms, now that there are concerns about them being overstimulated by spending too much time on electronic devices. “A room is like a psychological soundscape. You add bright, saturated colours to make it a joyful energetic space. You can then add in grey to turn down the visual volume and make it more calming . You can use colours to excite and calm. Colour has an effect on our moods. It is interesting to see the body’s reaction to dark colours — they make us sleepy and relaxed. Getting design right is about balancing these aspects,” she says. 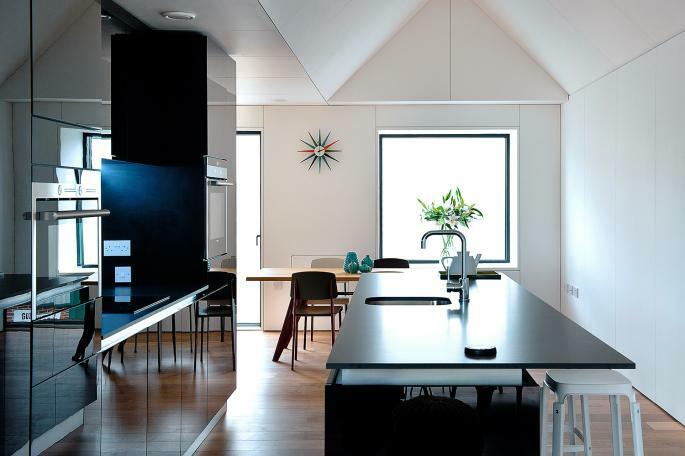 For this reason Sigma 3, which makes Masterclass kitchens, has recently launched a range of bright colours that can be combined with metals and materials to customise and personalise the room. “There isn’t a favourite colour that customers want. Everyone chooses two or three different ones, and these vary depending on where they are in the country and their personality,” he says.